This entry was posted in Card, SCRAPBOOK ADHESIVES BY 3L, Spellbinders and tagged Birthday, Card, Clearsnap, Flowers, Lawn Fawn, SCRAPBOOK ADHESIVES BY 3L, Spellbinders. Bookmark the permalink. 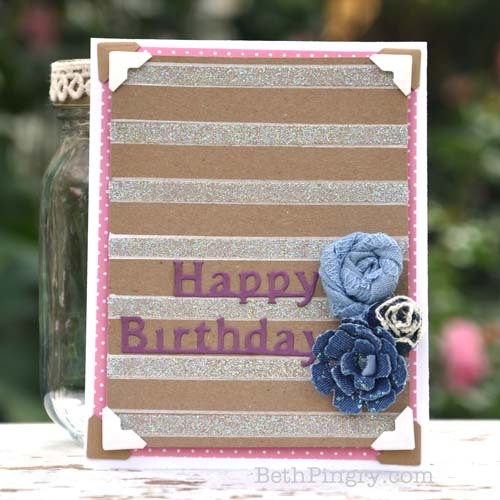 Love this glittery and pretty card!